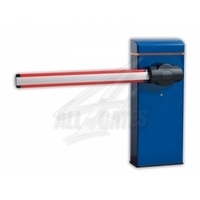 Barriers MICHELAGELO series are designed for entry to a width of 4, 6 and 8m. Available in two colors blue (RAL 5001) and red (RAL 20 005). They have a 24V-powered engine and an integrated control unit C MV GEM equipped with LCD display. Integrated radio with Rolling code allows up to 63 remote Transmitters. 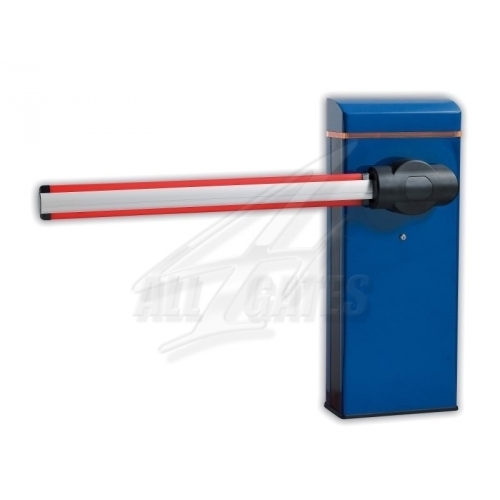 Security feature provides ampero metric detection of obstacles. Barrier after colliding with the obstacle, it immediately stops and reverses the movement. They are designed for continuous operation.